WTF Is On Rihanna’s Head? Rihanna steps out Monday night on July 27, 2009 to have dinner with a few friends in downtown New York City, New York. 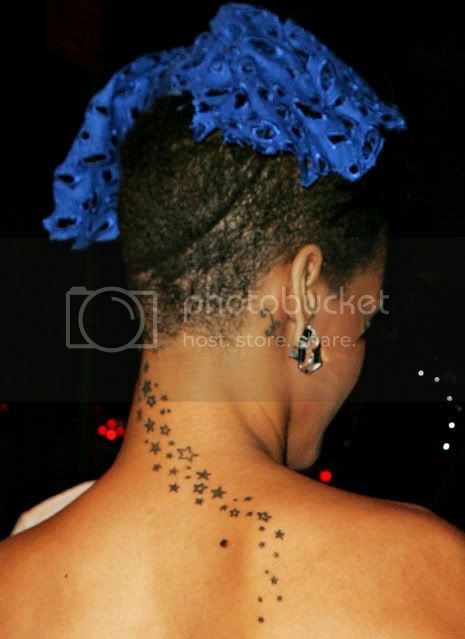 She was wearing an attention drawing outfit, consisting of a tight jean strapless dress, a blue ornament style hat covering her new shaved hairstyle, and light blue heels showing off her ink. Not sure what she was thinking wearing this hat if that is what you can call it. Looks like a piece of fabric sitting on her head. So what do you think Fashionista or not?